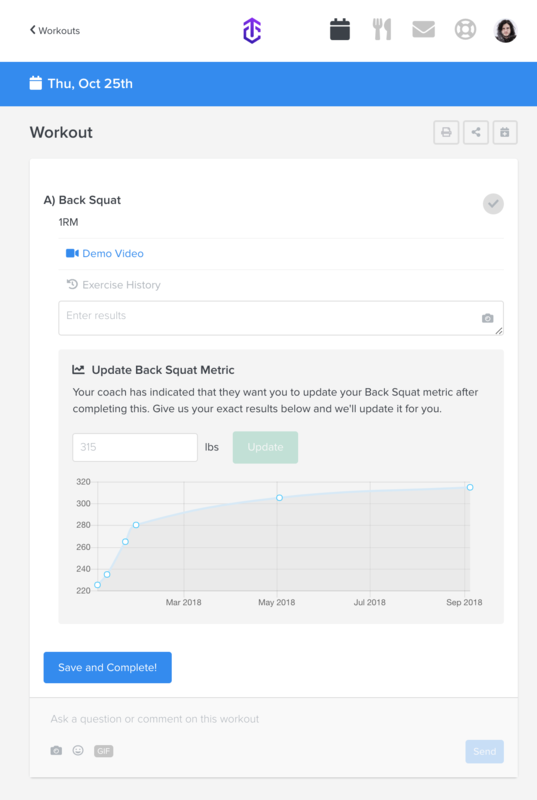 Have your remote or dual clients update their metrics from a specific workout. 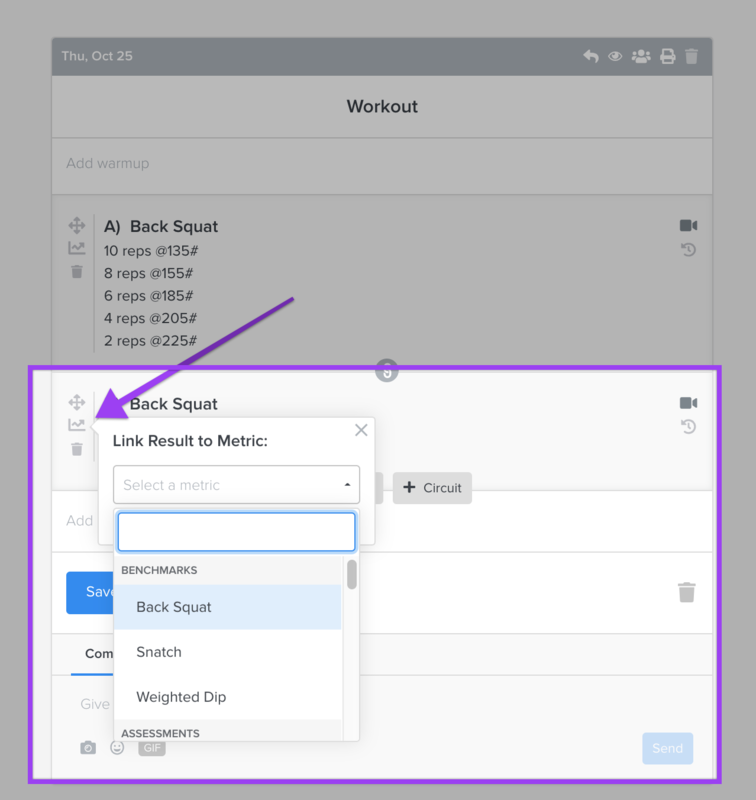 For remote and dual clients, you can link an exercise or circuit to a metric by clicking the metric icon next to any exercise or circuit. When you link to metric from a workout, a prompt will appear for the client to update that metric! Because in-person clients do not have access to TrueCoach, metrics must be updated by the coach from the sidebar. Please note that entering results from the trainer side will not update the metric result. The metric must be updated by the client from the prompt, or from the metric manager on the sidebar. Once that is updated, you'll get a notification that their metric has been updated!